OLD PARKED CARS. 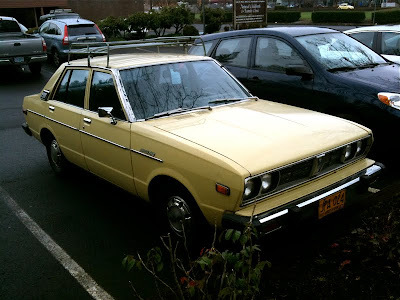 : 1978 Datsun 510 Sedan. The owner told me she got a trailer with this car, and she said she'd bring it out for me to shoot. smokin lovely. so did the owner "get it," what a fantastic car this is is? 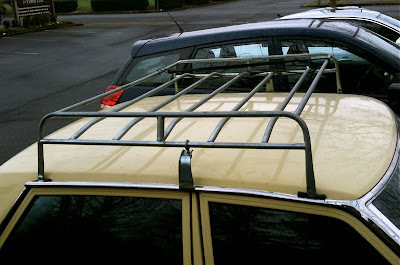 that's the roof rack i want on my cars. Ditto, on the roof rack. 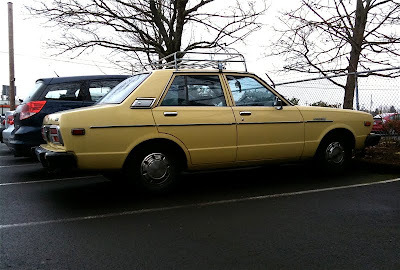 I love older Japanese RWD cars with roof racks. 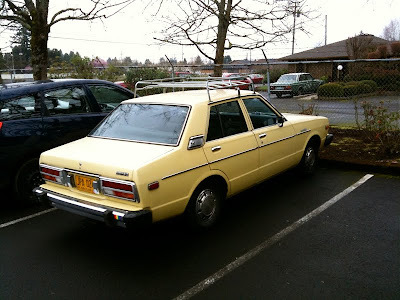 Man, look at that fender badge and compare it to this one from 1980. 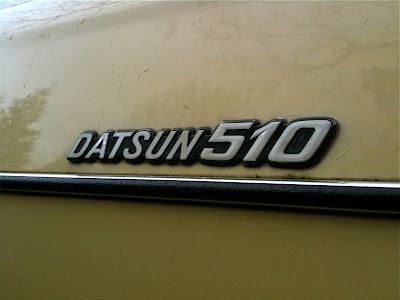 I wonder if this is all due to Rosemary living the sweet life, or that Datsun dropped the ball on badge quality? Well, they certainly dropped the ball on badge quality, but let's find out what year they dropped it.